Various people have mentioned that I don't cover the local scene as much as I did and that's true. 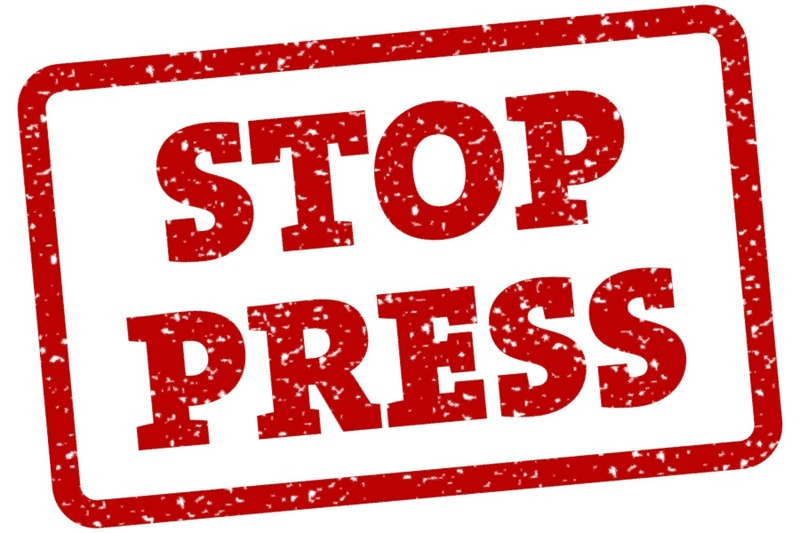 I Don't Hear A Single with it's largely Power Pop and Pop Rock remit has spread it's tentacles worldwide in search of the new and under appreciated artists. However I do know a man who can. Cliff Howarth is a good friend and has long been a supporter of the Liverpool and North West Scene. His show on Maghull Radio attracted a wide audience and now he's branching out. Radio Radio will still provide his mix of local artists old and new, with a good dose of Classic Tracks to accompany them. His show has now moved to a podcast on Anchor FM and Episode 3 is up now. You can also listen to the first two episodes there and hear some archive interviews. 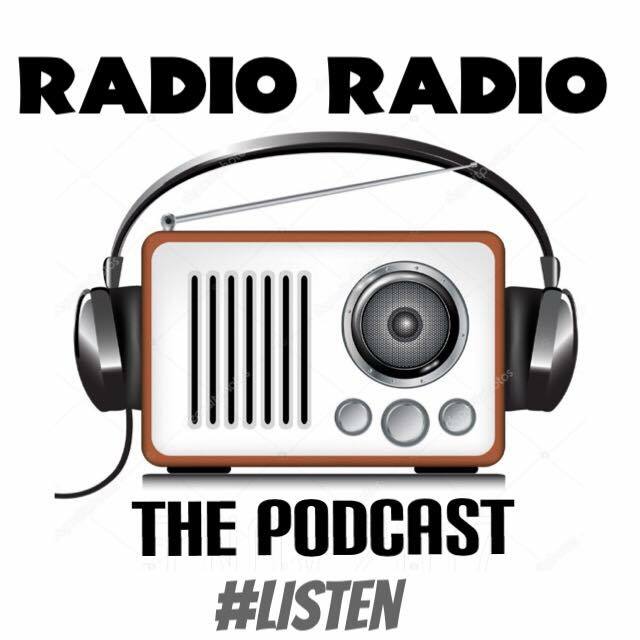 There is also a link on the site to take you to an additional ten apps that you can access the broadcast from including Spotify, Apple Podcasts, Google Podcasts, Overcast and TuneIn. You can access the site here. Radio Radio is an ace listen and I'm hoping it will follow the I Don't Hear A Single Radio show on it's new adventures when that returns next week. There'll be more about that and the exhaustive new IDHAS things during next week. In the meantime please do give Cliff's show a listen. Here's this week's Radio Radio Playlist. 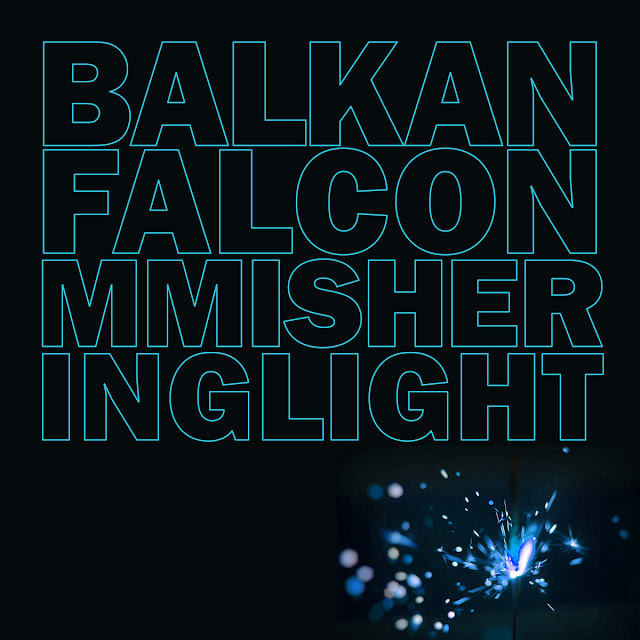 There's a hell of a lot going on on Balkan Falcon's debut full length album. Indeed, the opener, BF IS BTS has an album worth of ideas in itself. Anyone fancying a quiet evening should look away. The noisy Baltimore Trio's sound certainly fills a room. It's really hard to define what they do, because the influences are wonderfully all over the place. You think Post Punk Pop and then a song like J Robby Is Pissed enters the fray which is all Prog or Psych Pop. Having said that, there are real traces of Garage Rock, even Metal, but all are built around angular New Wave Riffs. Some times they feel like Noise Pop, at others, they hit the Clever Clever sound of Mew, particularly on Rasmussen The Assen which becomes almost Alex Harvey. A final reference would be a more melodic Stooges, but have no doubt that this trio can play, Gary Lee Barrett is certainly a guitarist of some ability. Very Andy Summers at times. The band's constant tempo changes work beautifully, particularly on the poppy Up All Nite. The closer, Skyhopper, is almost Rush in Vapor Trails mode. With all the references that I've mentioned here, you'll have worked out this is a diverse album. But, it's Pop Sensibilities are there and Psych and Prog fans will love it just as much as the New Wavers and Garage Rockers. It's a corker of an album. The album is released tomorrow. In the meantime you can listen to the three songs embedded in this review and buy the album here. It's a bargain 7 dollars. I've been waiting impatiently for the new Caddy album all year and today is the day that it's Poptopia is unleashed on the world. It's been too long since The Better End. You can read the review of that album here. Since then, Tom Dahl became a Stanley and the band's debut album was lauded as one of the best Power Pop albums of last year, rightly so. You can read my review of that album here. Ten Times Four lands somewhere in the middle of those two albums, gloriously so. The Better End is beautifully arranged, but the songwriting is reflective, a little melancholic, when it breaks out, it does it gently. In The Basement here mines similar territory. The Stanleys album is more heads down, have a good time, Power Pop and that influence is also revealed here. At times, these songs are built on meandering memorable riffs, never more so than on Not The One and Somewhere Beautiful, a song that wouldn't be out of place on The Stanleys album. The moody Roadblocks is built around a slow sinister riff, far different to the rest of the upbeat songs. Reverie is a Jangle Fest, all Teenage Fanclub, a wonderfully melodic strum along building to an Everything Flows bridge. The closer, The Good Ones is a splendid anthem, a real sing your heart out building to a Thin Lizzy Twin Guitar crescendo. If Miracle Turn is the ideal opener with it's glorious chorus, then The Good Ones ends the album in similar feel good mode. Special mention has to go to Safe Travels, a Glam Rock masterpiece with some fine Beach Boys harmonies. There's so much packed in to it's four minutes. I've followed Tom Dahl's career since The Yums Yums and I can honestly say this is his best album yet. It's magnificently feel good, epic in it's Pop Scope. It's so easy to forget that Caddy is a One Man Band. This year thus far has been a fine year for Pop Rock. Ten Times Four is another contender for album of the year. As soon as the album finishes, you want to play it again. Forget about what's happening in the world, this will make you feel that everything is A OK. Ten Times Four can be bought as a download from the likes of Amazon here. It is available on CD from Ray at Kook Kat from 31 August, you can pre-order here. Ace news for you Vinyl freaks, Markus will be releasing it on Sugarbush later in the year. 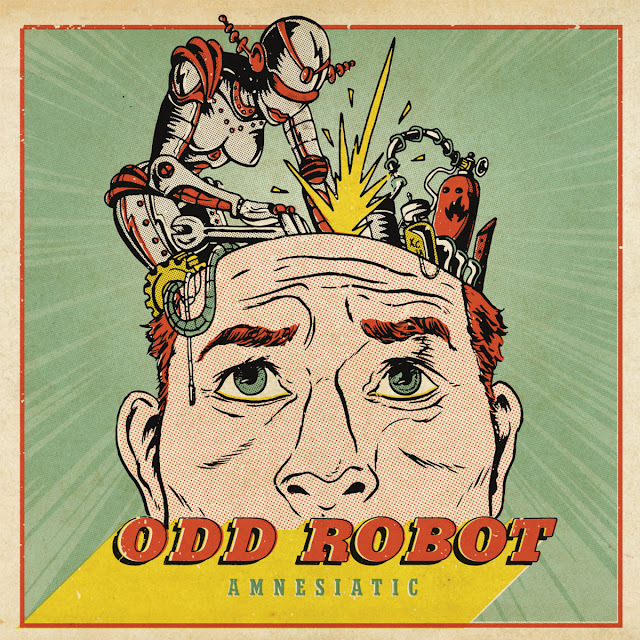 One of my favourite albums from last year was Odd Robot's A Late Night Panic. You can read that review here. I'm surprised that the Californian Quartet didn't catch on quicker after that outstanding debut album. The great news is that the follow up album, Amnesiatic is now with us and so you can remedy that loss. Amnesiatic moves full blast into Power Pop. You can imagine the title track on the Stiff Label, equally Rescue, Rescue could be on Bomp. Billie Joe Armstrong's The Longshot have been garnering deserved praise this year, well this album is every bit as good. It also benefits from it's brevity. 14 songs in 30 minutes is Ramones like. A song such as Cemetary Business Model has a fine hook and a big Rock Riff. Green And Yellow as a song is nothing like The Proclaimers, but the song structure is. Boil Through is a sped up joy with a solo akin to The Motors. Hole Inside is so Joe Jackson, but with a Glam Rock Riff. West Coast Girls is rocked up Mod Pop. The biggest surprise is the closer, Screech The Turns. It's over three minutes and a slow strum. After the 100 mph journey to the last track, this is a fine closer, showing another string to Odd Robot's bow. Amnesiatic races through at lightning speed, it's a fine fine listen and a suitably great second album.It's heads down great Power Pop. More of a UK feel this time, but a cracking listen. I can't recommend the album more highly. This is more of a heads up really as I don't want to give too much away. 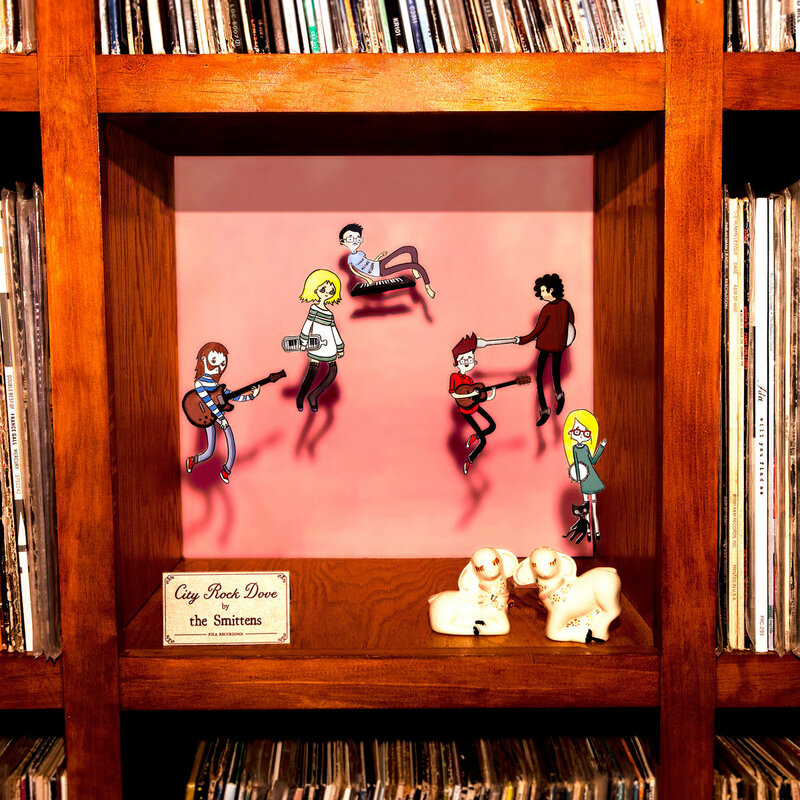 It's been two long years since Ryan Allen's wonderful Basement Punk album, you can read that review here. When Allen was playing shows for that album, his assembled stage band developed outstanding live reviews. So for Headacher, that live quartet became a band and Extra Arms was born. Some of you may know of Ryan from his assistance on Nick Piunti's albums or from his solo play everything himself albums. Well, he had a great band history before his solo days and the new four piece really works. The album sounds even more rounded and it's noisier than Allen's solo stuff, if that's positive. It's all hooks and solos. There is still the anger, but it's far more framed. From the window smashing speed of You Make The Life You Want and the New Wave drive of the excellent Push The Button to the acoustic closer, The Last One, this is exceptional material. There's even a song that would be at home on a Nick Piunti album, the splendid Honey Brown. I know some Top 20's for the year that come out, bizarrely, in October. Well I wouldn't advise many of my peers to take this approach. Headacher is released in all formats on 12 October, you can pre-order the Limited Edition Vinyl now by heading here. The uninitiated can also catch up with the Ryan Allen Back Catalogue there. There will be a full album review nearer the release date. Burlington, Vermomt, Six Piece, The Smittens have released their sixth album, the third on London's Fika Recordings Label. City Rock Dove is wonderful Twee Pop, caught somewhere between C86 and the Swinging 60's. With four songwriters in the band, the material and lead vocals allow great variation. Default is an easy listening joy of a listen reminding you of everyone from Belle And Sebastian to The Seekers, from Saint Etienne to Peter Paul and Mary. The variance of the material is enhanced by some lovely backing vocals, shoop shoop arrangements that work so well, most prevalent on the excellent, Love Is A Word. This is splendid chilled out stuff. Well Done All! I'm a Dot Dash admirer and they certainly are prolific. This is Album Number 6 in just 7 years and it's an absolute corker. In my review of the previous album, Searchlights, here, I remarked that it seemed a move away from their Garage Rock roots to a slightly noisy New Wave Power Pop. That direction has become far more apparent. Now a trio, the Washington DC band, have edged nearer and nearer to a Power Pop Trio. Proto Retro has far more in common with The dB's or even more relevant, the Glasgow scene of Teenage Fanclub and BMX Bandits. There's a real emphasis on Jangle here, the pace is slowed down in favour of melody and harmony. Terry Banks's Vocals are a revelation and it seems the tighter trio format suits them. I recently reviewed Black Vinyl Shoes for a magazine and the vibe here is pretty similar. It's not all Scots Pop, there are departures, Green On Red is a noisy departure that works well and the excellent TV / Radio is splendid UK New Wave Power Pop, all sing along. Run And Duck For Cover is The Byrds doing Madchester. The real joy though is that jangle. Never more so on the superb, Unfair Weather which could be The Housemartins. Special mention too for World's Last Payphone, a wonderful song that can be downloaded free. Proto Retro is a million miles away from the ramshackle earlier Dot Dash Days. Both are equally great, but this much nearer to my heart. There's a lot of Jangle around at the moment from lost bands to new wannabes, much of it is mediocre, few can do it this well. This album is a corker and should be added to your collection forthwith. What are you waiting for? In those halcyon Anything Should Happen Days, the emphasis was on forgotten artists and albums from the previous 20 years, rather than the regular fuss on Rock Excess and Mop Tops from the past. It came to celebrate great Singer Songwriters such as Michael Penn, Matthew Sweet and Jason Falkner. 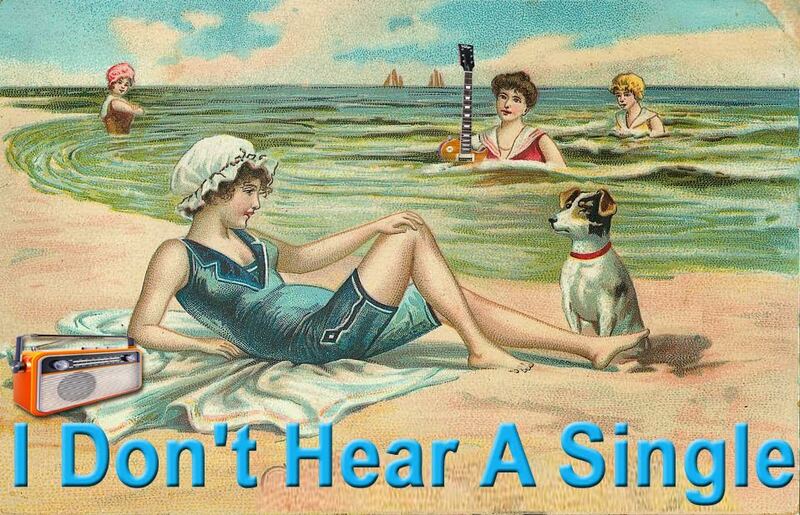 Fast Forward to I Don't Hear A Single. IDHAS's mission was to celebrate the new and under appreciated that had albums out now. John Brodeur was a name that frequently crops up. So imagine all the excitement when the Bird Streets Telegraph started to buzz. John Brodeur was bringing out a new album with Jason Falkner, Wow! It was being released by Omnivore, a label that carefully selected new albums on quality. Think Chris Price, Cait Brennan etc. As the release date neared we were treated to a track and Betting On The Sun was everything that I hoped it would be. If this isn't the IDHAS Song Of The Year, it will have been beaten by something truly wonderful. 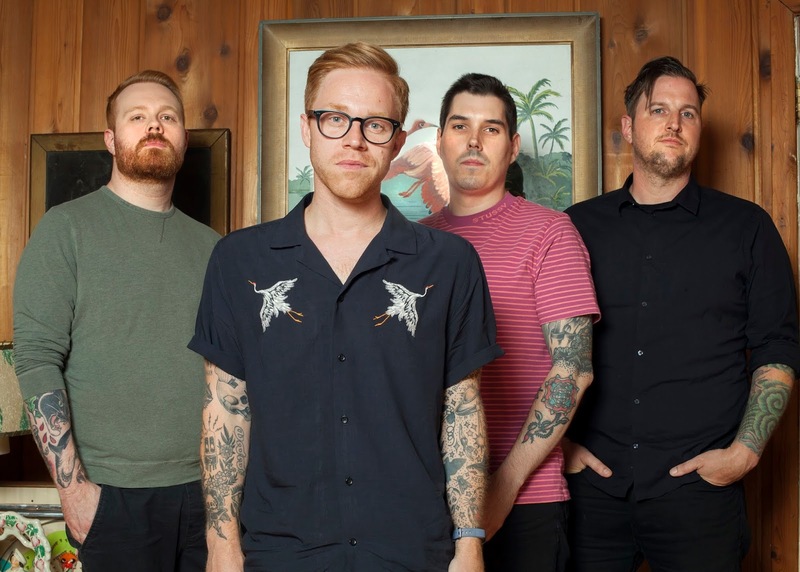 Brodeur's previous album, Little Hopes, is an outstanding thing of beauty, but it suffered from a lack of promotion and support. His first album as Bird Streets trumps all that has gone before, it's an exceptional listen. He's always been a great songwriter from the quirky beginnings to now, but Bird Streets reveals a greater experience in what appears to be an almost auto biographic affair. There's a realisation here of what's been gained and lost and it's more about things lost. This isn't a bitter affair, more of a realisation of what went wrong and an acceptance that things are better now. It's also helps that Brodeur is one of the best lyricists around. "I remember when we were tighter than Steely Dan" being one example. This is where Jason Falkner comes in. The arrangements are tighter here, the glitter and polish more dazzling and the radio friendliness. Considering everything was played by the two, the quality of that playing is admirable. From the opener, Carry Me with it's Stipe like verse and it's Glam Rock chorus to the closing, Until The Crown which has a chorus that could be John Waite or Kenny Loggins, the album is wall to wall, back to front quality. Direction is Paul Simon-esque in it's storytelling. Stop To Breathe has an aching riff and it's here you realise how good John Brodeur is at writing choruses, a fault sometimes of Jason Falkner, who is the best verse writer around. Same Dream could be a jaunty TV Sit Com Theme, think Friends Territory. Same Dream is the only time that the lyrical soul searching gets melancholic, again I turn my thoughts to Paul Simon. What you have here is one of the best albums that you will hear this or any year. Brodeur confirms himself as one of the great songwriters of this generation. The collaboration with Jason Falkner helps reveal that even more. Album Of The Year Material? You bet! Betting On The Sun is getting a lot of Radio Airplay and rightly so, it's an absolute wonder of a song, I can't easily describe my reaction on first hearing it. It would also be a wise man that delves further into John Brodeur's past. You can listen and buy back catalogue, including Little Hopes, here. You can buy Bird Streets here. 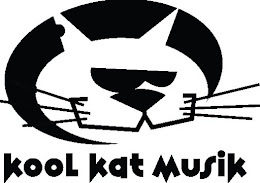 You can also buy the CD at Kool Kat here. 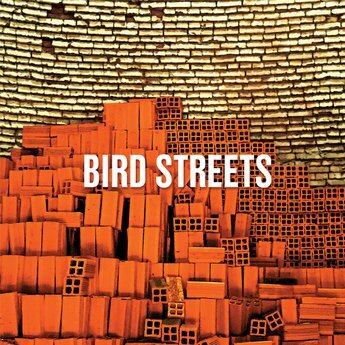 You can find out more about Bird Streets here. I reviewed David James Situation's third album, Aquarian Comedown, last year. You can read that review here. I'm delighted that number four has now been released. The great news is that everything that was great about Aquarian Comedown is present, but with added va va voom. Home is pure Deep Purple with it's John Lord like keyboard riff. The title track is a Prog Pop two minute instrumental. Even a song like Any Other Day which is AOR in essence fits in a killer Pop Rock Chorus that is very Chris Rainbow and then there's the Thin Lizzy guitar solo. The opener Infra Riot romps in with a killer riff and is followed by Faces which is Space Rock with an addictive synth riff, probably my favourite track. In fact, choruses are a big thing here and James can certainly write them, Believe being another example. I Should Know is more familiar territory, it's a jangling two minute Power Pop Treat with a fantastic solo to match. Lay It Down is much heavier, almost Southern Rock. Trying And Flying is built around an acoustic strum when all around it is trying to break out. Redondo Sunset is fantastic Melodic Rock, it's less in your face than Aquarian Comedown could be, nearer AOR and it works wonderfully. This is because the song structure and writing is so good. Melodic Rock isn't about Living On A prayer or The Final Countdown it's about this. 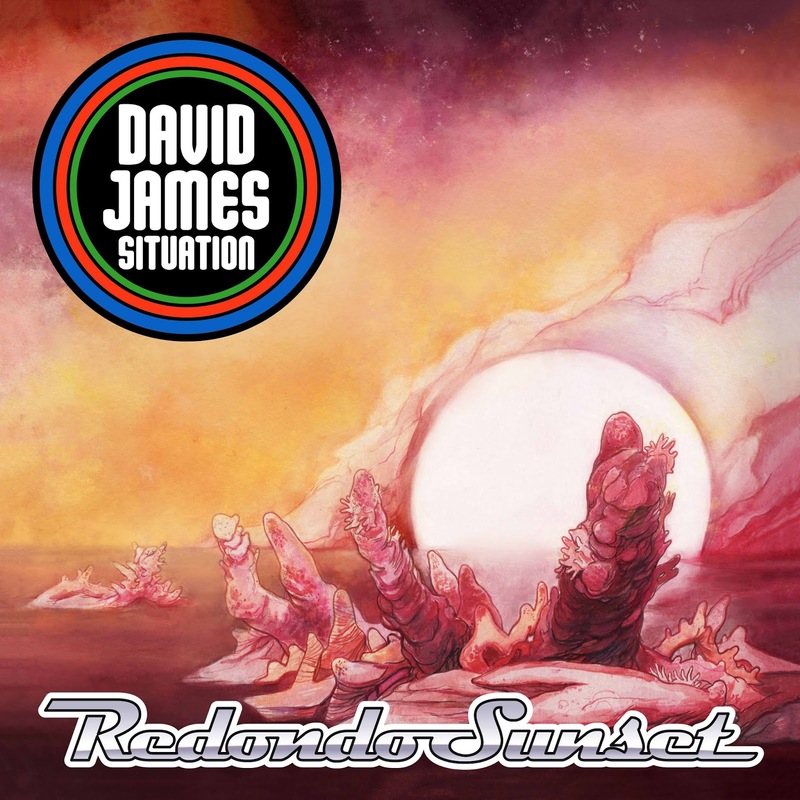 David James Situation deserve a much greater audience, it what this music is made for. You can buy Redondo Sunset and DJS's back catalogue here. You can also buy at CD Baby and listen to sound samples at both sites. 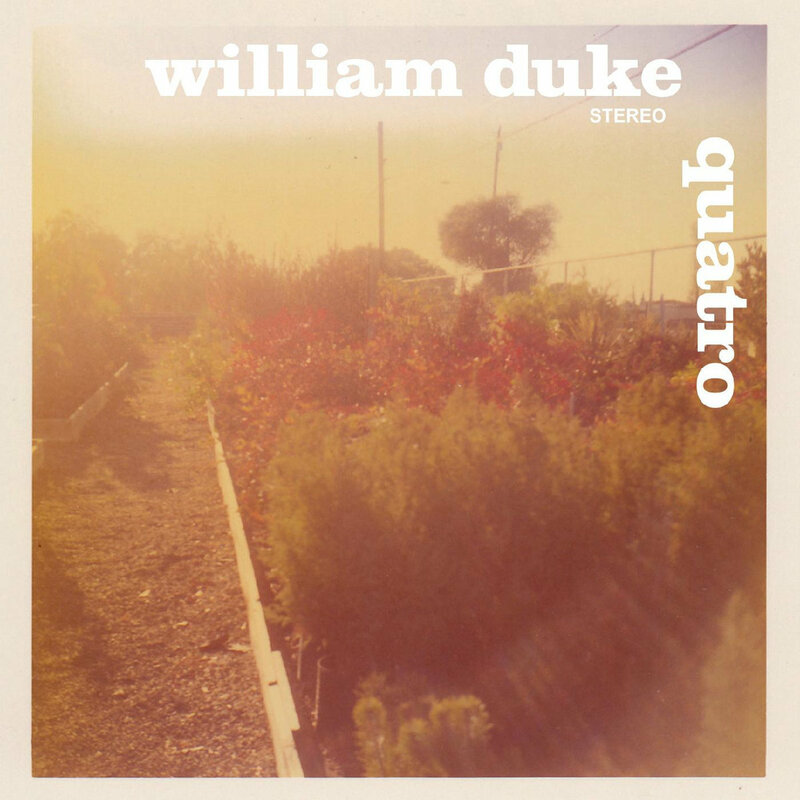 San Francisco's William Duke reaches his fourth album and has fashioned up Sunshine Pop of the highest order. Whilst you can still hear the Acoustic Americana influences of his previous solo outings, Quatro heads nearer and nearer to his Power Pop Bye Bye Blackbirds earlier days. There's a melodic joy, a real Beach Boys nod at times that emphasises how great the harmonies. As a Brit, I think of McGuinness Flint and Gallagher And Lyle at times, even a fleshed out, bigger sounding Stealers Wheel. This Brit Folk Pop / Pop Rock influence is most notable on Junk #2, but the variety of material is what impresses most. Hotels And Meetings is Pure Pop Rock, think of Steve Winwood, particularly with the added Organ. Hotels End is all synth led in Alan Parsons Project world. The countrified shuffle of Cue Up The Memories mixes beautifully with Cal Pop harmonies. Complications #1 is on more familiar Jayhawks Territory. Thank You is slowed Tom Petty, but the stand out is the opener, Caroline And The Silver Screen. It's a meandering, jangling tempo changing wonder of a song that closes into Psych Pop. One of the best songs that I've heard this year. So take notes now on how you can buy this cracker of an album. Quatro is available at Name Your Price on Bandcamp, but there is a better way to buy it. It's available on CD for a bargain price as a Deluxe Edition that includes the previous album, The Dark Beautiful Sun. The version of Dark Beautiful Sun on the 2 Disc Set contains 9 Bonus Tracks. So you get both CDs and a load of extra tracks 10 dollars. You can listen to the album and buy the album here. You can also buy the Double CD Deluxe Edition from Ray at Kool Kat, a great supporter of the music that we love. 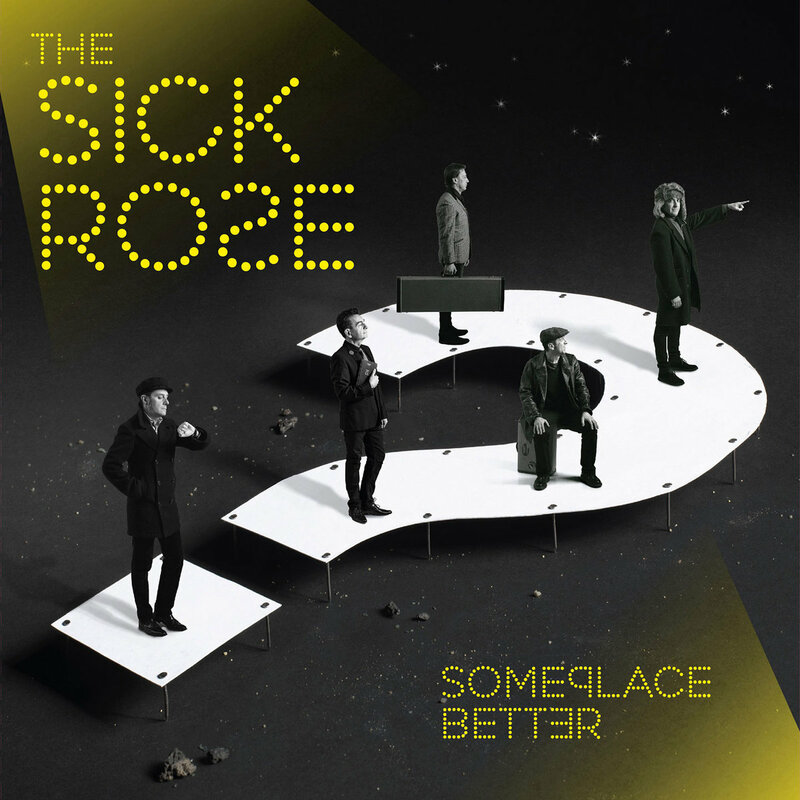 You must catch up on Someplace Better, an album released earlier this year by Torino's The Sick Rose. Produced by Ken Stringfellow, this is good old traditional Power Pop. The production is very modern, but the vocal sound is very 60's Beat. 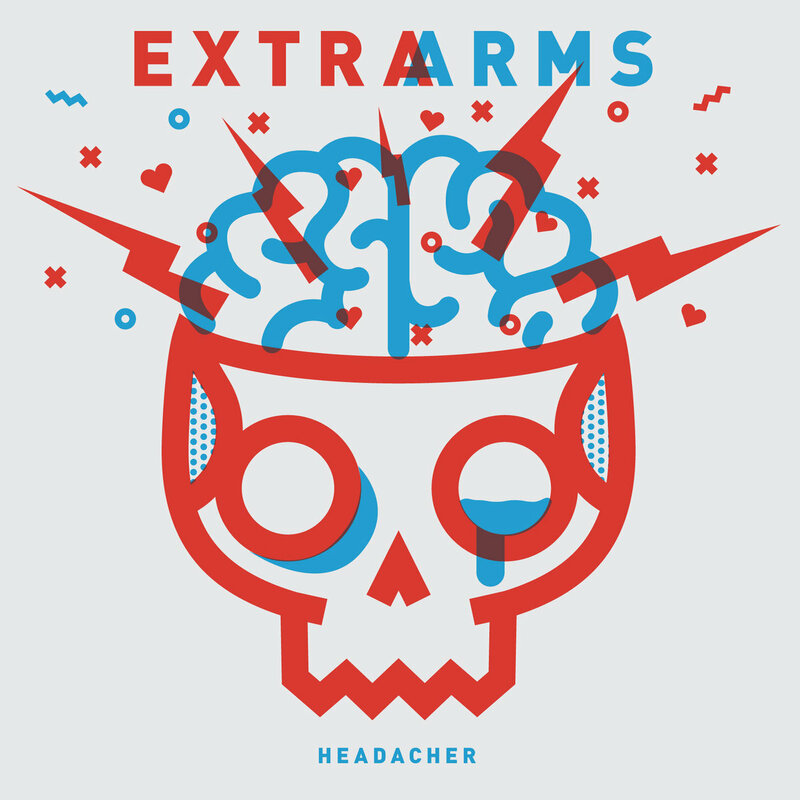 Chock full of hooks and riffs with a bravado, not dissimilar to DM3, it's a cracking listen. How To Be Your Friend is probably the stand out, but any of the 11 tracks will get you jiving and at the bargain price of 5 Euros, it's a must buy. For someone who is constantly having a go at the "Guitar is Dead" mob, you may be surprised for me to be championing what is essentially a synth album. If I told you the artist was from Michigan, you'd expect them to be one of Keith Kingensmith's Futureman gang. Well, George Szegedy is from Lansing in Michigan, he is Crystal Drive and the self titled album is wholeheartedly synth. Although, I've never been a lover of twee Synth Pop, I have always had a penchant for someone who comes up different. Crystal Drive have a pop edge, very similar to the excellent Ooberon, but it's all synth riffs that border on Prog at times. Call it Prog Pop or Synth Rock, it certainly has hooks that grab you. You may have heard Execute on the radio show and that's just one example of the great riffs contained here. Chemical Children could be early Numan, Moonlight could be a melodic 808 State, Function Like You could be something on Mute in the 80's and morph's into Sparks In Outer Space mode. However, the main theme is addictive pop. None more so than Knowing The Way which could easily be a synched up Buggles. What a great album this is. I like being surprised. I was! You can listen to and buy the album here. Amongst this barrage of reviews over the next few days, there's a couple of albums that I've been meaning to tell you about for a while. 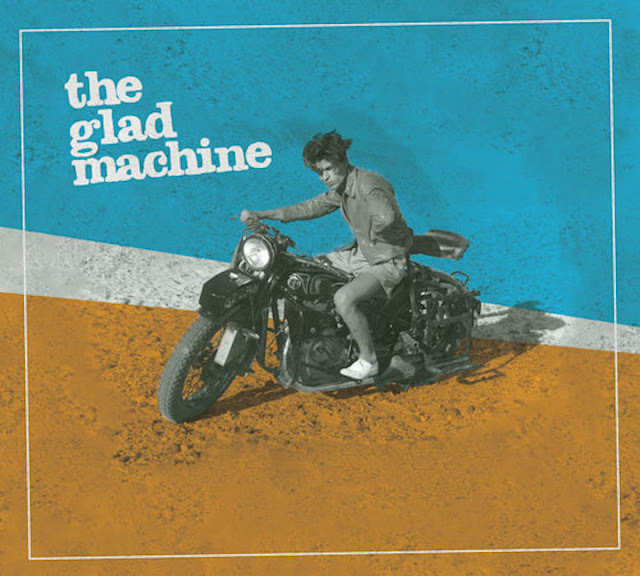 First Up is The Glad Machine's self titled album, an album that rocks with a vengeance. The four piece from Northampton, Massachusetts reside in a territory somewhere between New Wave and AOR, it borders on the likes of Cheap Trick and Sloan. 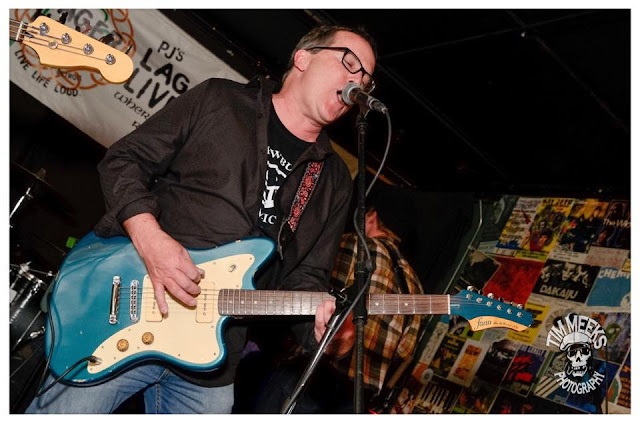 Brad Thayer's vocals are in the mould of Robin Zander, particularly on something slower like the jangly, Cake. There's a real pace to most of the 11 songs here, which is exactly what is needed. Very much, Classic Rock Territory, but full of melodic hooks and riffs. The opener, Homecoming even as a Cars like keyboard riff. Tonight is a song that probably explains The Glad Machine best, built on a riff, tempo changes with a melting guitar solo. 18 Days is pure Brit Pop, Wake Up's verses are Squeeze like until the big chorus. Hooks aplenty here, expertly produced, this is a top notch affair. I love it. You can buy the album at Amazon or CD Baby. You can also listen to all the tracks on the band's website here. 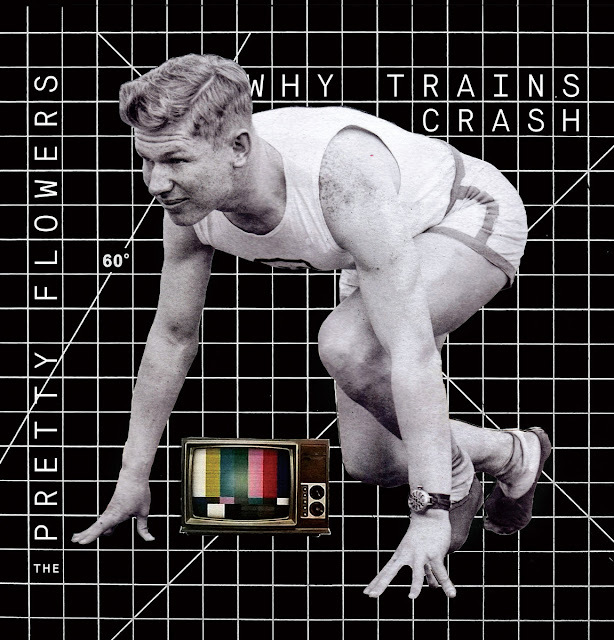 Los Angeles's The Pretty Flowers have been gaining a growing reputation in the lead up to their debut album. Regular comparisons to Superchunk and The Replacements seem both fair and wide of the mark. Yes they can get down and dirty, but there are far more hooks and choruses here than you may have been led to expect. Electrical is all riffs that can be compared to The Cult or Post Punk UK / New Wave. Chip My Paint starts with an ace riff and then romps into Australian Territory like a more melodic early version of The Church or a rocked up Go-Betweens. Temple Of Gunpowder could be Robert Pollard on a bigger budget, Sitting Duck is Liam Gallagher like in it's sneer. Corner Of The Stars is all Glasgow Jangle. Although you can see the US Connection, think of The Strokes with better lyrics and melodies, there is something UK about the feel of many of the songs. The stand out is Some Girls, a splendid Power Pop joy. I am blown away by Why Trains Crash. I expected Fuzz Rock and got it, but there is far more depth, far more hooks and riffs aplenty. This is a fine debut album. Don't expect any slow songs, it would just stop the roll they are on. Highly Recommended! When we look back on the year, we may very well find that most of our favourite albums are from the last couple of months, indeed I'd expect many of these albums to be adored a decade on. Right at the front is the magnificent Danny Wilkerson debut album. Known, of course, as one of The Pengwins and to some as the ex Mayor of Annetta North in Texas, Wilkerson has fashioned up one of the great Pop Rock albums. The album features a who's who of collaborators and although, the feel is very much McCartney Pop, many more are brought to mind, 10CC, Andrew Gold and particularly, The Major Labels. It's no secret that I pine for another Major Labels album, Aquavia remains one of my favourite albums ever. That influence is particularly prevalent on Carry The One and You Still Owe Me A Kiss and it'll be no surprise to find two thirds of the band are collaborators on Wilkerson. Bleu McAuley's Top 40 aims with other artists, can mask his musical knowledge and ear for a melody. but when you get him on Power Pop, he is an absolute master, he knows which buttons to press, He presses all of them here. The arrangements are superb. 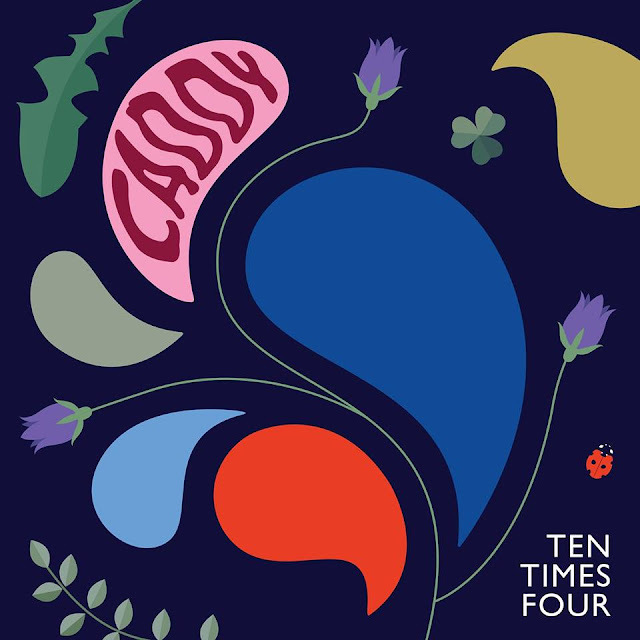 Likewise, Ducky Carlisle's involvement and mixing of half the album, shines through.Guest Appearances by Roger Joseph Manning Jr and Pat Buchanan only add to the quality. 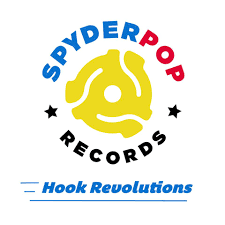 Special mention also to the Spyderpop label, a label close to my heart. Any label that has Lannie Flowers and Chris Church on it is worth your attention. You can now add Danny Wilkerson. 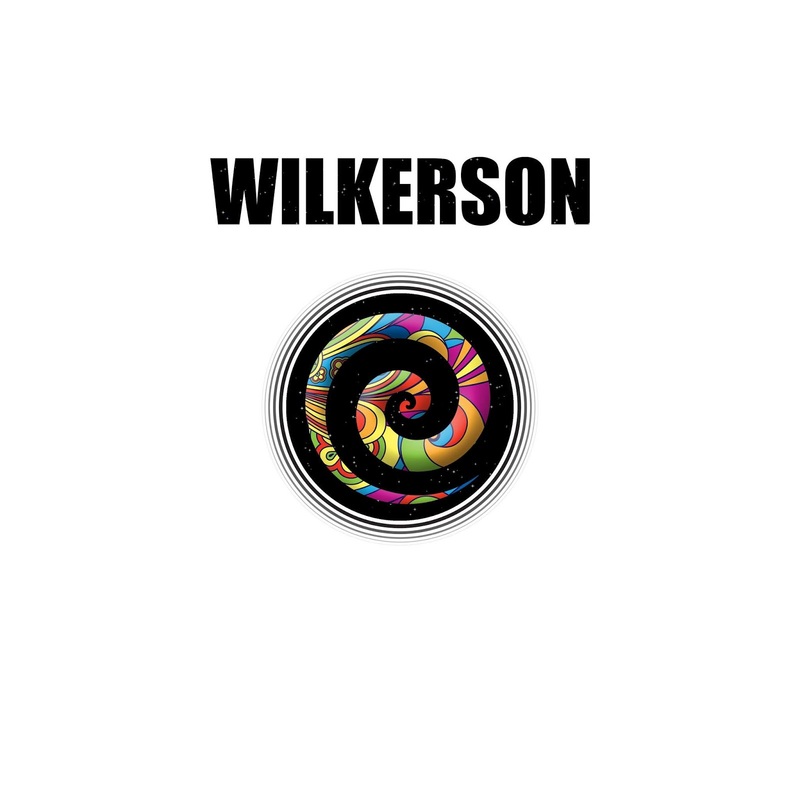 Wilkerson's songwriting shines through. There's also some fine song sequencing. On a debut album, it would have been easy to open something upbeat and chirpy to open proceedings. Something like the second track, Enough For Somebody, would have done the trick. Instead, Everyone Loves To Love opens proceedings. Everyone Loves To Love is a 5 minute extravaganza, it's like ten songs in one, almost a megamix of what is to come. The Andrew Gold reference largely comes from Too Much Of A Good Thing is Gold to a tee, a wonderful singalong. I've played a couple of songs on the Radio Show, Carry The One being one, a particular favourite, it reminds me a lot of Velveteen Queen, the sort of song that Paul McCartney used to write, soothing and anthemic. How She Lost My Heart is a corking slice of Psych Pop with a harpsichord solo. There's not a duffer amongst these ten songs, if you want to sing the choruses, there's plenty, if you want something slower and chilled, you have it too. Melodic excellence, beautifully written, beautifully arranged. Wilkerson is an absolute masterpiece. You can buy the album at Spyderpop or the likes of Amazon. You can also listen to sound samples and buy the vinyl at CD Baby. There's been masses going on in the background IDHAS wise, hence the reason for being quiet over the past few months. Rather than announce it all with a big fanfare, you'll know as soon as the relevant parts are up and ready. I can tell you that I Don't Hear A Single is branding out in plenty of directions. All should be up and running by the end of August. Part of the reason for the 2 week Radio Break was to get all this extra stuff down to earth. The only thing to tell you about at the moment is a change of Twitter name for the Blog. It was @anythinghappens from when Anything Should Happen was rampant. As most of the contact is now IDHAS related, it makes sense to change it to something people can find easier. The Twitter Account is now under the name, I Don't Hear A Single. The new twitter handle is @hearasingle. My Facebook account is amazingly getting near the 5,000 limit, so you will see a dedicated Facebook Page for IDHAS in due course. The rest of the week will be spent getting the major backlog of reviews up on the Blog and from next week, you'll start to see some of the new excitement being announced. It's great to have a new "Mick Dillingham Interviews" for your perusal. What better subject than Nick Piunti? His new album is a splendid affair, following on from the previous, Trust Your Instincts, which was an IDHAS Album Of The Year. Without further ado, over to Mick. 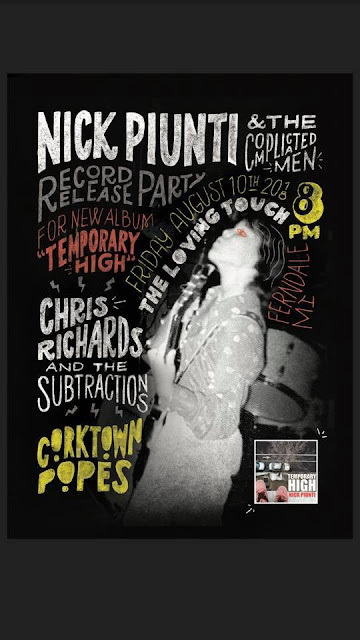 In 2014 Detroit based musician and songwriter Nick Piunti unleashed “13 in My Head” on an unsuspecting listening audience and the powerpop community immediately burst into flame with golden loving praise. It became highly ranked in the year's best of the lists for the dazzling and sophisticated pop rock greatness on display. More importantly the superb songwriting brought a unique and soon enough, unmistakable voice to the fore. As with all the true greats, despite all the familiar and welcome musical influences, above all else Nick Piunti albums are unmistakably Nick Piunti albums. Here was a major new talent and as obviously proved on the three wonderful albums since then, a music force to be reckoned. A songwriter to be held close to the heart of music lovers everywhere. Each new album has confirmed the greatness that went before while adding new layers and nuances into the already heady brew. Each album perfect in it’s own right and yet each new album more perfect than the last. This years offering “Temporary High” effortlessly continues this trend and may be his best yet, which is saying something when you consider the glory that has gone before. The last few years have been a golden age of creative wonderment from Nick but it was now always so. In fact it turns out Nick is very much an old hand having been in various, ultimately going nowhere musical projects, stretching right back to the seventies when he was still just a young boy. Time to sit down with the man and find out all about was was, what makes him tick and what is to come. What are your earliest memories of first getting into music? "Besides the obvious, Beatles on Ed Sullivan, I wasn't even four years old, but I have memories of watching TV at my Grandmother's house. It was probably a combination of The Monkees television show and listening to AM radio hits of the mid 60's that our teenage sitter and her friends played on transistor radios. They also taught me how to smoke cigarettes at the age of six, naughty girls. So the thought of playing music was quite intriguing, even before I ever picked up a guitar. I think I got my first guitar when I was ten and I had a music teacher that had a really cool tenor guitar (4 strings). That was great to learn on and fit my small hands." Which music artists first made you sit up and take notice? "As mentioned, The Beatles, The Monkees. I related to Davy because he was the shortest and he got all the girls. Short I had covered and I was crazy about girls as long as I can remember. So music seemed to fit right into my plans. My Dad owned a restaurant that had a jukebox and when the singles would be updated, we got the old ones. So my older brother and I always played records at home. I loved the pop songs of the day but I really took notice when I first heard Whole Lotta Love, Mississippi Queen, Born To Be Wild, all those Creedence singles." "My childhood best friend Pete Madary and I started writing lyrics first if I remember correctly. I remember my Mom found some lyrics and wondered what these love songs were about. But the actual first song that I wrote was called "Rock and Roll Beat". I think I was thirteen. Dwarf was my first band. School kids that wanted to play their 6th grade talent show. We actually called ourselves Sunset, but when our manager, Merle, came into the picture he wanted us to be called Dwarf. At first I said "no way" because I was the shortest kid in my class and I didn't really want to promote that in the name of the band. However, Merle was persuasive so we agreed to the name change. We started playing a lot of Junior High School dances and it wasn't long before the young girls starting going crazy. I think they weren't used to having bands their age come to their schools to play rock and roll, so when they saw us they really connected to us. They especially loved our drummer Mickey. I remember being asked to move by one young lady, because I was obscuring her view of Mickey." "We released our first single Gotta Get Louder / I Won't be Back in the fall of 1975. That's what local bands did back then, release 7 inch singles on their own label. I think only 500 were pressed. Sold out very quickly. If you can find an original pressing, they're over $200. A company called Sing Sing Records did a re-release a few years ago, but the originals are the ones that have value. Pete Madary sang and wrote the A side, while I wrote and sang the B side. Mike Finn was our lead guitarist. I didn't write a lot back then, probably a handful a year. By the time I was a senior in High School, I started writing a lot. It was all I wanted to do. Well, that and hang with my girlfriend. So we stayed Dwarf through high school and college and released three singles and an EP. We recorded a lot of songs in the studio from 1981 onward, but didn't release any. Looking back we should have, but we were looking for a label to put out a record. I'm not sure if it was 1982 or 83, but we parted ways with our manger turned drummer Merle, as we were tired of the four set a night gigs where we would have to sneak our originals in. I didn't want to be a bar band, so we found a new drummer, changed our name to "The Take" and moved to L.A. in the fall of 1984. We stayed for two years, did quite a bit of writing and recording, looking for a record deal. We played some showcases but we were definitely the wrong kind of band for the Glam Rock scene going on in L.A. at the time. I became the only songwriter in the band after Pete left and it seemed like the right time to pack it in as a band and get on with my life. I wasn't sure what was next musically but it was time to move on. After I move back to Detroit, I started recording songs, which would become my first solo collection. 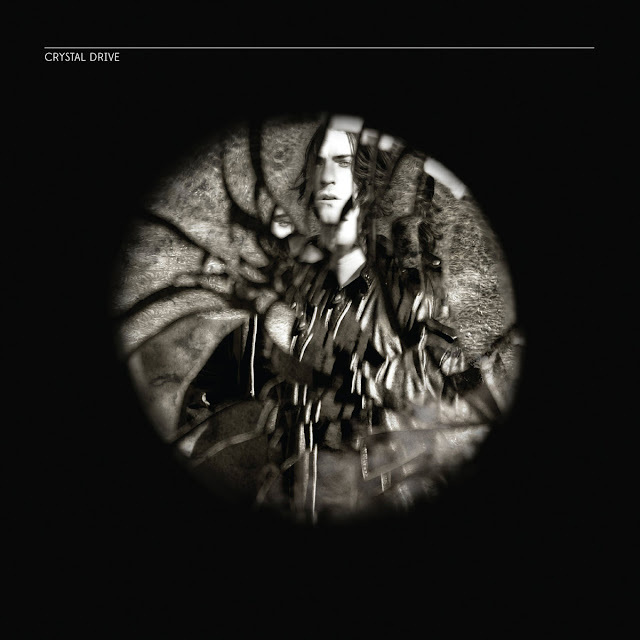 Eight songs released on cassette only titled "Cold Cruel World". I haven't listened to that in a long time. I re-recorded a few Take songs along with some new material, shopped it at MIDEM in 1988, but nothing really came of it." It was 2000, I was a father of two young girls and I started becoming interested in writing songs again. I wasn't sure what I was going to do with them ,but I started recording the new songs with long time friend, studio owner, Pete Bankert. At first I was going to have another singer sing them, but he convinced me to give it a shot. I was pretty happy with the record at the time, and released my first proper solo album in 2002. Still a few leftover songs re-done, but a lot of new ones and it did garner a little bit of attention. Really no marketing at all, just getting my feet wet again. Joe Gaydos, who played guitar on my solo album, was in between bands and we talked about having a band, going a bit harder in the rock department. He was in a band called Mugsy when I was in Dwarf. Mugsy were a much harder rocking band and more established than us at the time, so it was cool to actually be in a band with him. Though it may have seemed like an unlikely pairing, Joe really liked my songwriting and we recorded a lot of demos at his place and started writing some songs together. We recruited Donn Deniston (who I recorded with years before) to be our drummer and Pete Bankert played bass. We released our debut album under the name The Respectables in 2005. Joe's son Joey Gaydos Jr., who played Zack in The School of Rock, also appeared on the album for a cameo guitar solo. The album definitely rocked but it didn't contain a lot of hooks in my book, so we started working on our follow up "Sibley Gardens" and that was the album that received some power pop love. I wasn't trying to make a power pop album, and didn't really know much about a scene for power pop fans, but that album seemed to strike a chord." "From that album we landed songs in both a movie (Jeff Who Lives at Home) and a network tv show. That was cool of course, but the band was starting to unravel as our live shows were infrequent and my voice was not cutting it live to be honest. Pushing too hard, there were a couple shows where my voice didn't hold up. I also felt like the band was getting too ROCK and a bit dated and heavy handed sounding. We released a three song ep in 2010, but it just seemed like too little too late. My interest was waning and it was not my best songwriting period. I really enjoyed working on the songs for Sibley Gardens, but the fun quotient wasn't there any longer. After The Respectables, I was either done with music or I was going to give it one last shot, making a record that I wanted to make. I spent over a year and a half writing and demoing songs for the album. The kids got an iPad for Christmas and I soon found out that I could make some pretty good demos on Garageband. So the songs and arrangements were pretty mapped out before I entered the studio in 2012 and I found a writing partner with Ryan Allen. He was in a band called The Friendly Foes, which knocked me out and he was very encouraging to this old dude making another go of it. I recorded the album "13 in My Head" with Geoff Michael at Big Sky Recording and it was his suggestion to have Donny Brown drum on it. That was really key, Donny was in a successful Michigan band called The Verve Pipe and I felt like I had to up my game if I was going to make a record with him. He added some nice harmonies and ended up drumming on my next three albums. I felt really good about the record, but wasn't really sure what the reaction would be. The first reviews were amazing. Definitely the best response I ever received. A couple months after the album was released I received an email from Mojo magazine saying they wanted to include one of my songs on a cover mount cd honoring Paul McCartney. (Songs In The Key Of Paul). That was a big deal for me, to be included with some bands I absolutely loved and yeah, those year end lists were pretty great. It's a small community, but to be thought of as one of the best albums of their year, that definitely got me on the map. In 2014, Sugarbush Records released "13 in My Head" on vinyl. So that was very cool as well." "Yeah, “13 In My Head" seemed to be the start of a very prolific period for me. It's been seven years of a lot of songwriting. I'll make records as long as I think the songs deserve to be recorded and released. I wouldn't want to make a record if I didn't believe in the songs. 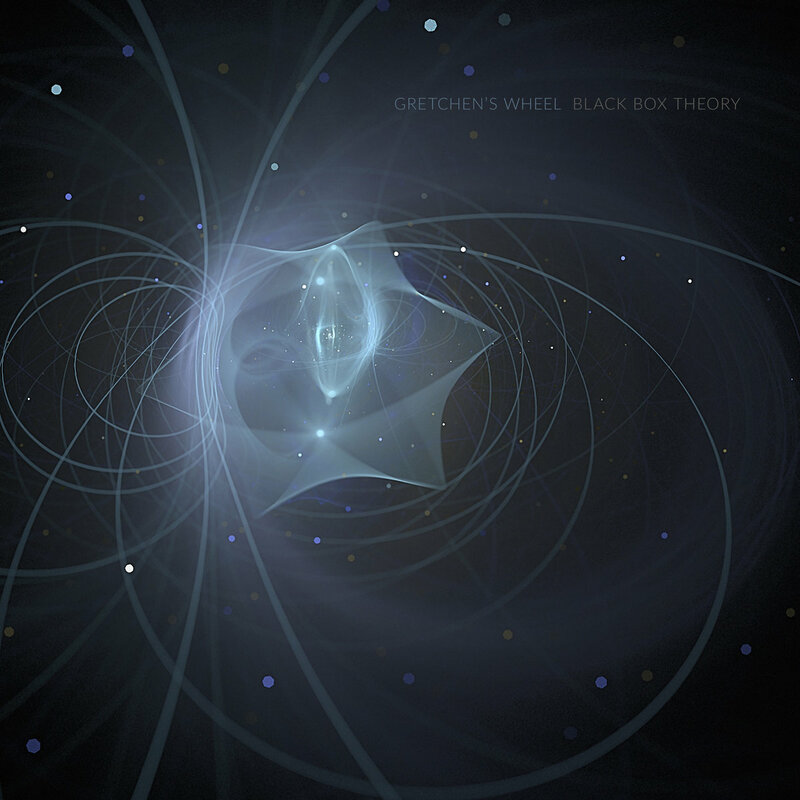 I think "Beyond The Static" was a good follow up to 13. Probably not as hooky, but some more depth to some of the songs and I pushed myself a bit. "Trust Your Instincts" came only a year later, but sounded fresh to me and I received a lot of airplay on Sirius XM The Loft. Mike Marrone was the program director at the time and he was great in making sure the album was heard. Trust Your Instincts was my first album on Marty Scott's "Jem Records" and it's been pretty cool having him so involved in not only releasing the record, but sharing demos and ideas with him. Lets talk about the latest Temporary High. How was the recording process? How happy are you with the finished album? I'm really happy with "Temporary High". 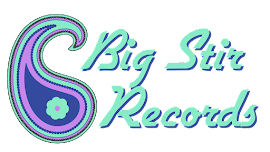 Recorded it the same way, with Donny Brown on drums, Andy Reed on bass, and Geoff Michael recording and producing at Big Sky Recording. Probably the difference with this album is that I had a batch of five songs that I focused on, then wrote another five songs and focused on them. Plus there's quite a bit of keyboards on this album, (myself, Andy, Donny and Geoff all played keys) though it is still a guitar based album. I even wrote a couple songs for my wife and a few for my daughters as well. So very personal lyrically. And though I played all the guitars on this album, (Ryan Allen joined me on a few songs each of the last three albums), Ryan did help me finish lyrics to a couple songs. My friend Chris Richards sang on a couple songs and keyboardist Plink Giglio (how's that for a name?) added keys on a couple tracks. "Temporary High was selected as the "Coolest Song in The World" on Little Steven's Underground Garage on Sirius XM radio. That's a very cool thing. What are your favourites on the record? That's kind of like choosing your favourite child. I like all the songs or I wouldn't have recorded them, and different ones rise up to the top of my list on different days. I like "You're Perfect and I'm Not" because that one seemed to get the songwriting for the album going. I like the pop of "No Return" "If This Was Right" and "Contagious". 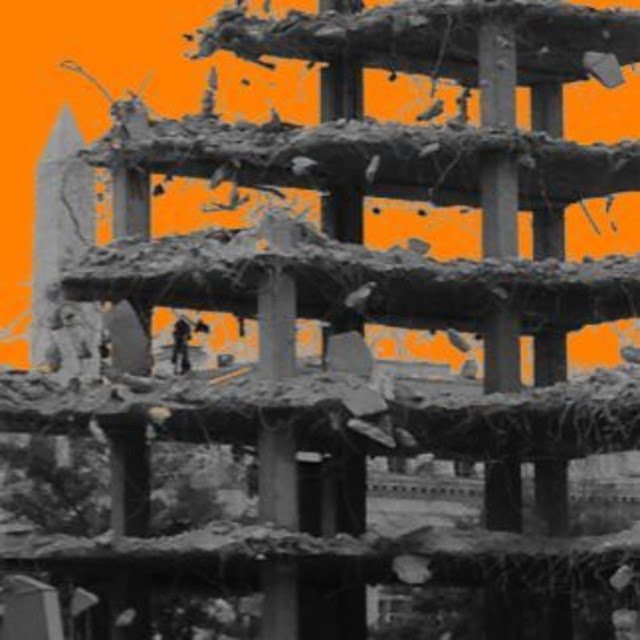 I like the rock of "Temporary High" and "You Invented Hell" has a cool Petty / Ryan Adams vibe. I think Geoff and Plink did a great job on "Headphones", definitely a different vibe for me. "Deep Freeze" was the last song that I wrote for the album. It was like those last songs you sneak in when you think the album needs "just one more".. 13 in My Head was actually the last song that I wrote and recorded for that album." How does the song writing process work with you? The best is when I have an opening line that I really like that comes to me at the same time as a riff and or melody that I like. Those songs seem to write themselves and those are the ones that make it on the album. Are you slow or prolific? I'm not Robert Pollard prolific, but I do write a lot. For every song that makes it on an album there's probably three that don't. They don't all get finished, but there's enough of an idea for me to decide if it's going to be a contender. What would you say were your biggest influences? Great pop songs. Tom Petty, Paul Westerberg, Raspberries, The Who, Beatles, Stones, Springsteen, Byrds, Slade, Ian Hunter, so many influences. There's new music that influences me as well. 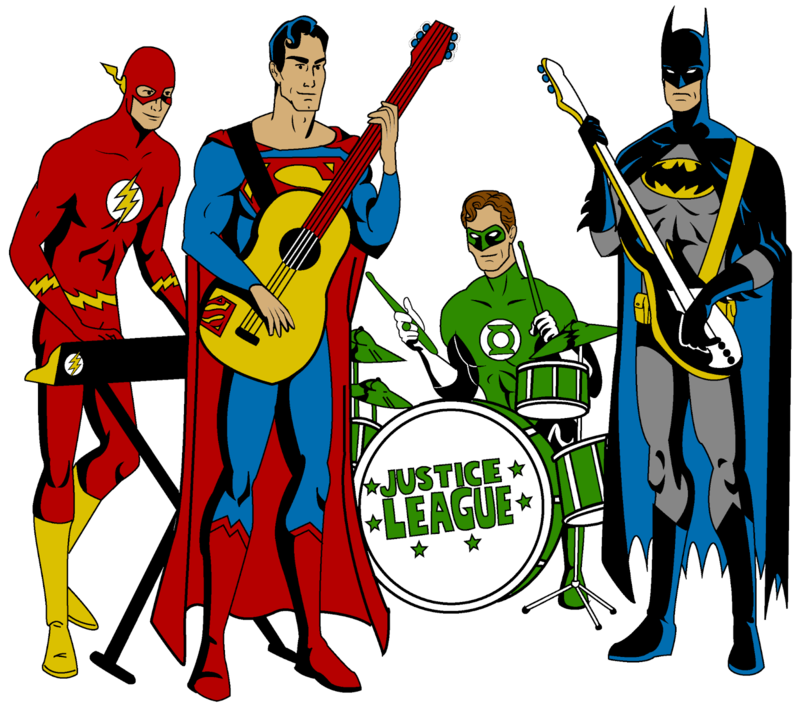 Not what you'd find on Top 40 radio, but there's quite a few great indie rock bands out there. and my friends make great records. They inspire me. How’s the feedback to the album been so far? Fantastic. Four albums in five years, I would suspect some people might think "why doesn't he take a break" but I've heard a few "best album yet" so that's encouraging. They're not sick of me yet. If there songs keep coming, keep recording. I have a new live band that I'm having a lot of fun with. More shows in the future with Nick Piunti & The Complicated Men and see if we can take this to some new arenas. (Not like a football arena, but new places.)" 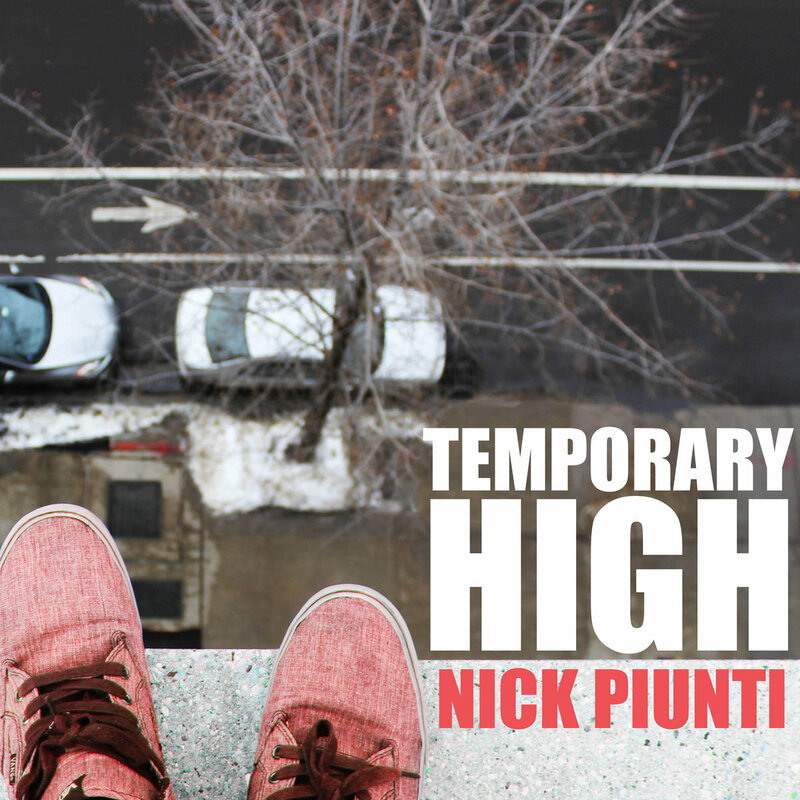 You can listen to Temporary High and Nick's three previous solo albums here. You can also buy those albums there. You can also keep up to date with the Nick Piunti world at his website here. For those who can get to the Temporary High Release show on Friday, details are above. It's a cracking line up. You can also read the IDHAS Nick Piunti Reviews here. I Don't Hear A Single Radio is now on a Summer Break. However, this week's show will be the last on KOR Radio. There is no animosity involved, indeed if it hadn't have been for the support and encouragement of KOR, I would never have started the Radio adventure. They have always been there to assist me and I am forever grateful. On it's return, the IDHAS Radio Show will continue in it's present format, but it will be on a number of Stations to give the artists the widest exposure possible. It will allow the show to be broadcast at the most convenient time for the audience of most countries, bearing in mind the time differences to the UK. It will also feature where most people expect to find Power Pop, Pop Rock and Psych Pop, as well as looking to expand listeners. It will still feature weekly on Mixcloud. Following on soon from that will be details of a 2 hour show, the second half of which will feature the IDHAS Radio Show. There's lots more IDHAS news to come, but first let's get the current Radio Show bedded in. I'll announce the locations of where IDHAS Radio 55 will appear as soon as all is finalised. In the intervening fortnight, you can listen to the archive on Mixcloud. I think most of you that are paying attention know how much of a fan of Gretchen's Wheel that IDHAS is. All four of Lindsay Murray's splendid albums are now available at Name Your Price on her Bandcamp site. You can read my reviews on three of the four albums here. If you weren't convinced before or Gretchen's Wheel are unfamiliar to you, now is the time to realise the error of your ways. You can listen to and download the albums here. Friday's Radio Show is all ready for your lugholes. Completed early due to Voice Conferences, Project Nonsense and Reviews tomorrow. As always it's top quality listening with 19 new tunes this week. I Don't Hear A Single Radio Excitement is broadcast on KOR Radio at 8pm UK Time on Fridays, repeated at the same time on Saturdays. Due to increased popularity, a Monday Night Repeat has been added at 8pm. Also, a reminder that the show is archived the following week on Mixcloud. You can listen to the other fifty three shows and two Xmas Specials here.